LASER is the acronym for Light Amplification by Stimulated Emission of Radiation. 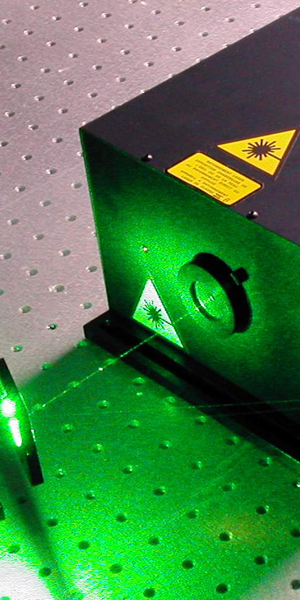 A laser is a device that generates an intense beam of light that can cut, seal or vaporize tissue. The most important difference is that laser light consists of one wavelength while the light around us is composed of many different wavelengths. When a CO2 laser is delivered to the soft tissue, the light energy is absorbed by the water existing in the soft tissue. Advantages: Less Bleeding - The laser seals small blood vessels during surgery. Laryngeal hemiplegia is a condition of paralysis to muscles of the throat or voicebox (the larynx) weakening the animal's ability to open their throat fully during breathing and close it during swallowing or vocalizing. Laryngeal hemiplegia is a common cause of exercise intolerance and a common cause of abnormal respiratory noise (roaring) in horses. These are areas of "proud flesh" on the flaps of the voice box (the arytenoids) that can cause the horse to cough and lead to arytenoid infection. The laser can be used through the endoscopic to remove (resect) the granulomas. This procedure is performed in the standing horse under sedation and with the use of local anesthesia at the surgery site. The guttural pouch is unique to the horse. 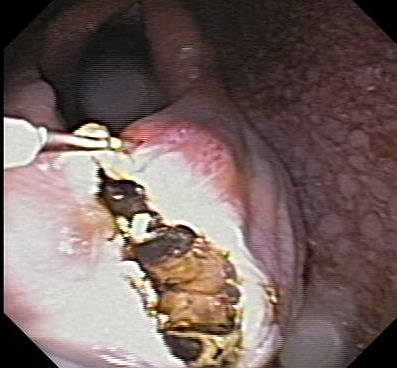 The exact cause of the condition is unknown but most agree that there is a malfunctioning of the mucosal flap in the pharynx that forms an opening to the guttural pouch. Foals affected with this condition have a large, non-painful swelling on one or both sides of the throat latch region. Traditionally, an opening is created between the two guttural pouches through a surgical incision in the throat latch region while the foal is under general anesthesia. 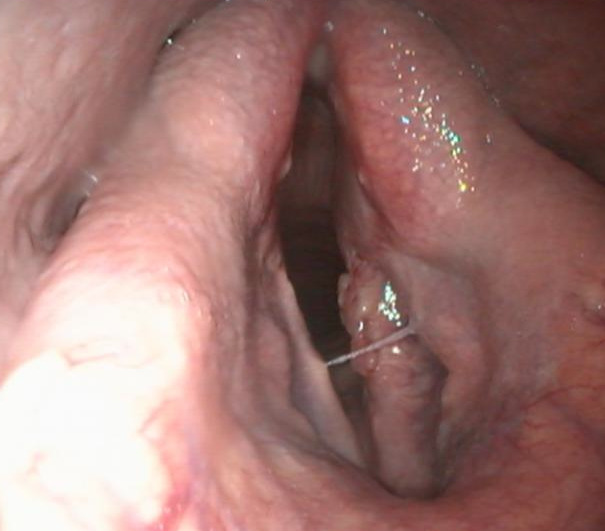 The surgical laser can be used to create this opening; or, it can be used to create an opening from the pharynx into the affected pouch.